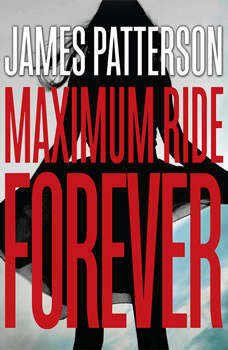 School's Out--Forever: A Maximum Ride Novel: Booktrack Edition adds an immersive musical soundtrack to your audiobook listening experience! *Fourteen-year-old Maximum Ride and the other members of the "Flock" -- Fang, Iggy, Nudge, Gasman and Angel -- are just like ordinary kids -- only they have wings and can fly.After their last wild adventure, the Flock members are taken under the wing of an FBI agent and try to live "normal" lives by going to school, making friends -- and continuing their relentless search for their parents. But the Erasers return, forcing the Flock to abandon their search and make their escape once again. The voice inside Max's head keeps telling her that it's up to her to save the world, but this is especially challenging to do when she is faced with her ultimate match: a newer and better version of herself, Maximum Ride II. Max's heart-stopping quest to investigate the mind-blowing mystery of her ultimate destiny continues in the scariest, strangest, and funniest James Patterson novel yet. *Booktrack is an immersive format that pairs traditional audiobook narration to complementary music. The tempo and rhythm of the score are in perfect harmony with the action and characters throughout the audiobook. Gently playing in the background, the music never overpowers or distracts from the narration, so listeners can enjoy every minute. When you purchase this Booktrack edition, you receive the exact narration as the traditional audiobook available, with the addition of music throughout.